Black cod with miso is a dish commonly found in Japanese restaurants in LA. As far as I’ve read, it was popularized by Nobu Matsuhisa (being one of his signature dishes), though a number of Japanese chefs/restaurants have their own renditions (Roy Yamaguchi of Roy’s is another popular one that comes to mind). It’s a silky, buttery piece of fish complemented by a sweet miso marinade. I’ve always thought it would be kind of hard to make, but the recipe looked deceptively simple. A handful of Japanese ingredients are mixed together to create a marinade which is the basis for the miso flavor. 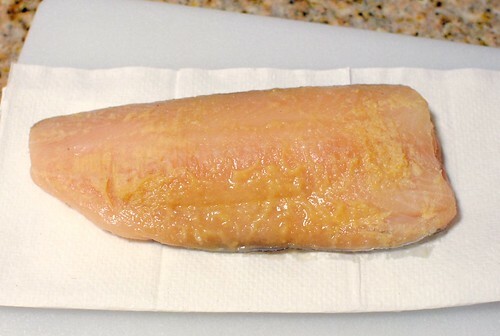 Once marinated, the fish is carefully seared leaving a charred exterior and moist, flaky interior. 1. In a small saucepan, bring the mirin and sake to a boil. Whisk in the miso until dissolved. Add the sugar and cook over moderate heat, whisking, just until dissolved. Transfer the marinade to a large baking dish and let cool. Add the fish and turn to coat. Cover and refrigerate overnight. 2. Preheat the oven to 400°. Heat a grill pan and oil it. Scrape the marinade off the fish. Add the fish and cook over high heat until browned, about 2 minutes. Flip the fish onto a heavy rimmed baking sheet and roast for 10 minutes, until flaky. Transfer to plates. I found everything I needed at my local Nijiya market. Well, I think so. I couldn’t find anything that was marked “white miso” specifically, so I just bought the lighter of the two options. Hah. Also, I had a hard time finding the “perfect” fillet. I wanted a relatively large, thick piece. Nijiya sold small sections that were about 1 inch thick, whereas Whole Foods/Bristol Farms had thinner fillets of about half an inch thick. I would end up experimenting with both. I’m not sure which one I liked better – I think I liked the taste of the thicker sections better, but found the large filet to be a more satisfying presentation. 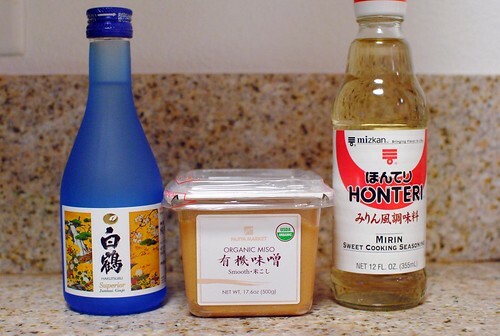 Making the marinade was easy enough, mixing in a few ingredients (mirin, sake, sugar and miso). 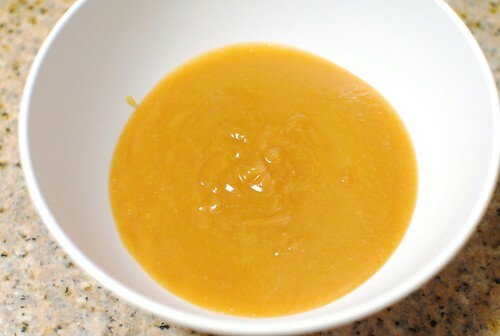 The mixture was smooth and light when hot, but more of a dense sludge when cooled. 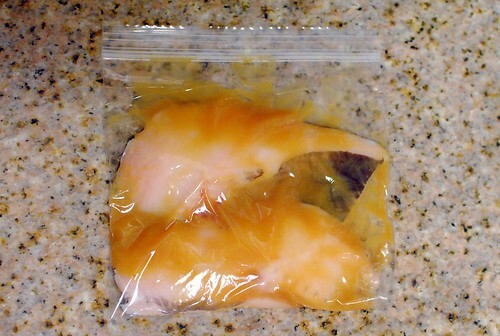 With each piece of fish, I tried to marinate it at least overnight…preferably a full 24 hours. The marinade was wiped off (leaving a little bit of a residual layer), and it was time to cook the fish. 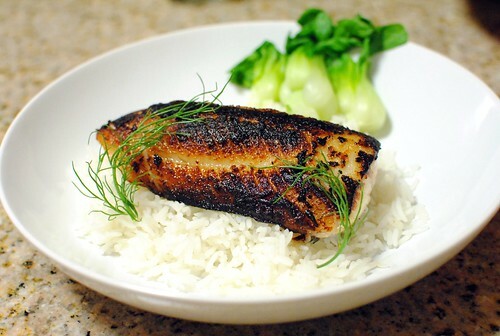 I found this part to be fairly challenging; the sugar in the marinade caramelized very quickly, so leaving the fish on one side too long meant a burnt-looking charred piece of fish. Careful managing of heat and timing were crucial. 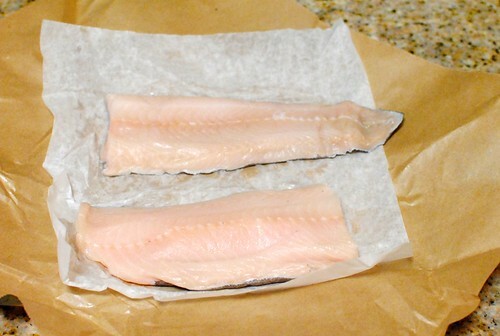 My pieces of fish were thin enough that I didn’t need to finish them in the oven – they cooked through pretty quickly. The amount of caramelization has been somewhat inconsistent, but I’ve been happy with the results. I liked the delicate crust of the char in tandem with the moist, buttery interior of the fish. There isn’t a lot of work involved and the results have been pretty tasty. No wonder this has become such a popular dish in restaurants. Darin, you cook so beautifully at home. Tell me, do you ever eat a frozen pizza? Nope! But that doesn’t mean I don’t eat more quick and easy meals! I have made this dish many times with Nobu Matsuhisa’s recipe. 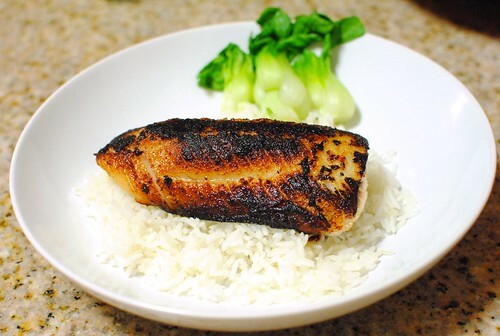 The method I have found that results in the tastiest miso glazed fish is cooking it in the oven under the broiler. Since every oven is different, you need to watch it very carefully. 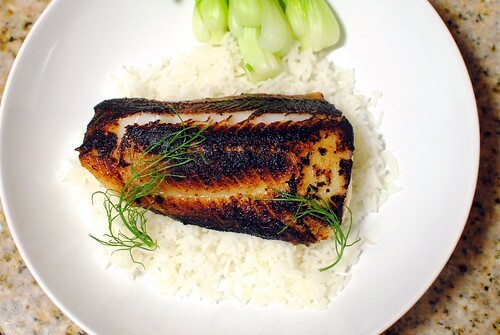 I cook my marinated fish about six or seven inches from the broiler heat until it is seared and slightly charred and check for doneness throughout the fish. If it isn’t cooked perfectly all the way through, I remove the fish, change the temperature setting from broil to bake and wait a minute for the broiler to cool down/turn off, and put the fish back in the oven to finish cooking through which usually takes three or four minutes. 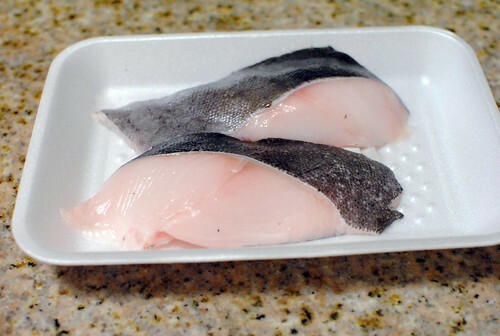 Of course everything depends upon the thickness of your fish fillets, the temperature of your fish when you go to cook it (has it just come from the refrigerator or have you let it come closer to room temp), your particular oven’s idiosyncrasies such as temperature sensitivities. Always have an oven thermometer in your oven to test the actual temperature against the settings on your oven since most ovens actual temperature varies somewhat from the indicated temperature settings. This is one of my favorite dishes and I typically serve it with some Koshihikari-style steamed rice and some ginger-soy glazed baby bok choy. Happy cooking!